For the first time in Premier League history the transfer window has slammed shut before the start of the new campaign. Earlier this year, clubs agreed to close it before the season kicked off in order to stop losing their players once the games had got underway and it could become the norm going forward should this be viewed as a success. Despite the World Cup and the window being significantly shorter, Premier League clubs still shelled out a jaw dropping £1.2 billion over the summer months. That falls just short of the £1.47 billion of summer 2017, but it's still an outrageous amount of money and some of the signings will have supporters really excited. The bulk of that has come from sides inside the top 6, with Liverpool and Chelsea topping the spending table. That has raised the expectation level at both clubs and it's going to be interesting to see how their new faces bed in over the next few months. Yesterday the window slammed shut meaning that there's no more opportunities for Premier League clubs to make permanent transfers until the new year. We've looked through each piece of business that the top 6 managed to complete and ranked them from 6 right through to 1 - so read below to see who we think has had the best summer in terms of transfers. Agree or disagree with our rankings? Tweet your thoughts into us @FootyAccums! Tottenham's rise to prominence over the last few years under Mauricio Pochettino has been hugely impressive and they've done it without spending the mega money that the likes of their London rivals and the Manchester clubs have done. The Argentine has done an incredible job since replacing Tim Sherwood but he will certainly be disappointed at how this summer has worked out. Spurs didn't manage to get a single piece of business over the line in what is a massive year for the club, with them moving into their shiny new home in a few weeks time. 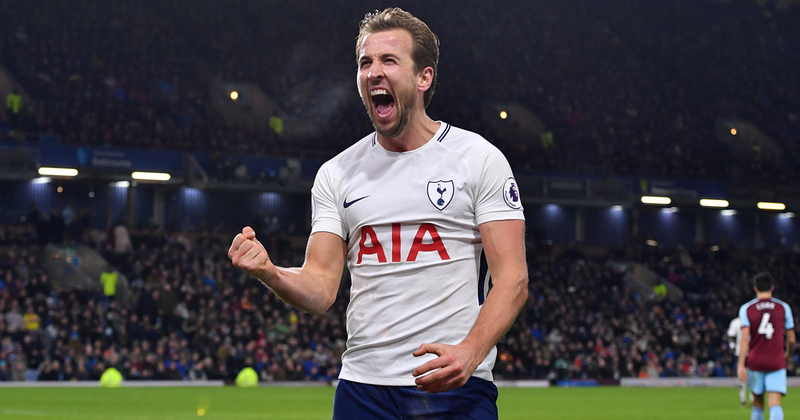 There's no doubt that Spurs' starting XI is up there with the best in the league but their squad depth is what really lets them down at times, and if someone like Harry Kane is missing for a lengthy period of time they could be in real trouble. They were linked with a number of names, with the main one being Aston Villa's Jack Grealish but they just couldn't get the deal over the line. So all in all it's been a very disappointing summer in terms of incomings to North London, but it's not all bad news with the club managing to tie down the likes of Davinson Sanchez, Son Heung-Min, Erik Lamela, Harry Winks and Harry Kane to long-term deals. They'll also be boosted by a fully fit Lucas Moura, who's looked razor sharp during the clubs pre-season tour of the States. He arrived from PSG for £25m back in January but a lack of match practice meant he didn't feature as much as Pochettino would've liked to, so he will be like a new signing for the North Londoners. Last season was a strange one for Jose Mourinho and Manchester United. The Red Devils clearly became a much more consistent side in the Premier League by climbing from their 6th placed finish in 16/17 (69 points) to end last term up in 2nd with 81 points - a tally that would've been enough to win the title in the 15/16 campaign. But the success of their City rivals meant that it was seen as disappointing one, ending 19 points behind them and ending with no silverware so money HAD to be spent this summer. Mourinho made it clear to the board that he wanted a new forward, midfielder and defender for the new campaign - now with the window shut he has just one. 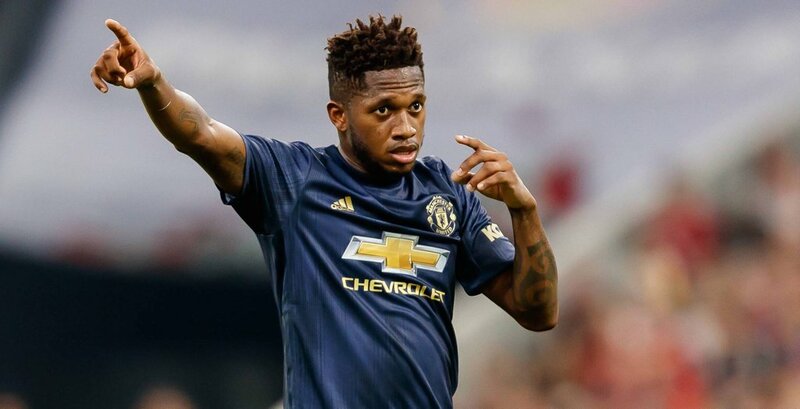 Brazil international Fred was the main signing that CEO Ed Woodward managed to bring to Old Trafford and it's pretty safe to say that Mourinho isn't a happy man. He claims he presented Woodward with 5 potential signings at the start of the window and their inability to land them has left them short, particularly at the back. Their main targets were Toby Alderweireld and England World Cup hero Harry Maguire but they just couldn't get those deals over the line - meaning that there's an awkward atmosphere around the club at the moment. United aren't in good shape coming into the campaign and it's going to be interesting to see if the 55 year-old can break his curse with them - with him never lasting longer than 3 years at any club he's managed. This summer was never going to be one of upheaval for Manchester City following their ridiculous success under Pep Guardiola last season. The Citizens dominated domestically winning both the EFL Cup and Premier League title in record breaking style and the aim this year is to do the same and more. The Spaniard has spent some mega money since arriving in Manchester but with his young squad looking in incredibly good shape, this summer was just a case of adding just a couple of additions in key areas. Midfield and attack were his priorities and he got one sorted early on in securing Leicester City's Riyad Mahrez for a club record £60m and he could well prove to be an excellent capture for the club. His arrival will give Raheem Sterling some competition on the right and also allow Bernardo Silva to come infield and rotate with David Silva and Kevin De Bruyne. However there is an element of disappointment around the window from some City supporters and Guardiola after missing out on a holding player to compete with Fernandinho. The departure of Yaya Toure (although he only 17 times in all comps last season) has left them a man short so if the Brazilian picks up a knock they could be in trouble. Italy international Jorginho looked like the man to solve that problem but he chose to follow Maurizio Sarri in joining Chelsea from Napoli, meaning City missed out on a big target. It is a blow and thats the reason that they're not ranked higher, but we're still expecting City to dominate this season and become the first side in 5 years to win back-to-back Premier League titles. Major Incomings: Lucas Torreira (£26m Sampdoria), Bernd Leno (£19m Bayer Leverkusen), Sokratis Papastathopoulos (£14m Borussia Dortmund), Matteo Guendouzi (£7m Lorient), Stephan Lichtsteiner (Free Juventus). Major Outgoings: Per Mertesacker (Retired), Santi Cazorla (Free Villarreal), Jack Wilshere (Free West Ham), Chuba Akpom (£3m PAOK), Lucas Perez (£4m West Ham). It's been a summer of massive change at the Emirates Stadium both on the pitch and in the dugout. Arsene Wenger ended his 22 year spell in charge of the Gunners this summer, with him replaced by former PSG boss Unai Emery, who has a massive job on his hands following up the Frenchmen's achievements. Emery has inherited an Arsenal side going through a transitional period after delivering their lowest Premier League finish (6th) for 23 years but he's clearly given everyone a boost since arriving. There seems to be a new found positivity around the red half of North London and he's been very selective in who he's brought into the club this summer, recruiting in very important areas. Arsenal are always going to score goals with the likes of Pierre-Emerick Aubameyang, Alexandre Lacazette and Mesut Ozil in the side so strengthening defensively this summer was an absolute must for Emery - something which he's done. None of the new arrivals have Premier League experience, but they do look very exciting and promising on paper. 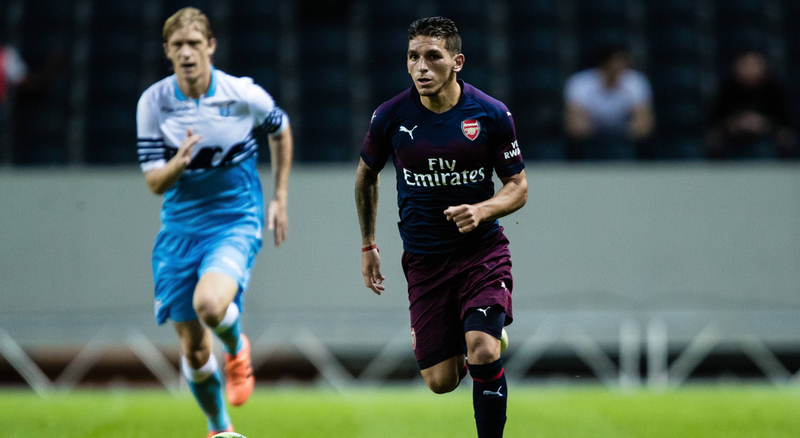 For some time now Arsenal have lacked some bite and steel in midfield, something which looks eradicated with the signing of Sampdoria's tough tackling Lucas Torreira for £26m. Last season The Gunners conceded the most goals (51) of any side in the top 7 so Emery has acted by signing experience in Sokratis Papastathopoulos and Stephan Lichtsteiner which commentators will love alongside Bernd Leno as the long-term replacement for Petr Cech. If they can click at the back and form an effective base for their fantastic attacking players to go and do their thing then Arsenal could be a real force in the Premier League this season. Major Incomings: Jorginho (£57m Napoli), Kepa Arrizabalaga (£71m Athletic Bilbao), Matteo Kovacic (Loan Real Madrid). Major Outgoings: Thibaut Courtois (£35m Real Madrid), Kenedy (Loan Newcastle), Baba Rahman (Loan Schalke). Just like their London rivals, Chelsea have also seen a change in management this season with Maurizio Sarri coming in to replace Antonio Conte. The Italian was sacked by the Blues in the summer despite winning the Premier League title and FA Cup during his two years in West London, showing the size of the expectations at the club. Chelsea finished in 5th position in the Premier League last term and you'd think that Sarri would need to get at least a top 4 finish in order to keep his job going into next year, especially with trigger happy owner Roman Abramovich at the helm. Some thought that a big overhaul of players would be required to get back on track but Sarri has clearly gone for quality over quantity this summer, bringing in just 3 new major additions to his squad. The big news being that they broke the world record transfer fee for a goal keeper in recruiting Athletic Bilbao's Kepa Arrizabalaga for a mega £71m to replace Thibaut Courtois, who moved onto Real Madrid. There's huge expectations on the shoulders of the youngster but with Chelsea handing him a massive 7 year deal, they clearly feel that he's the right man for the job. Another massive deal was the £57m signing of Sarri's Napoli midfield general Jorginho, who could prove to be an absolute bargain. He spent the summer being courted by Manchester City and after seeing him in action for the Blues, you can see why Pep Guardiola was so disappointed to miss out on his signature - a potentially world class player. Then if that wasn't enough, as part of the Courtois deal they also managed to get highly rated and sought after Croatian international Matteo Kovacic on loan. The prospect of him lining up alongside Jorginho and N'Golo Kante in the middle of the park is a mouth watering one for Blues supporters and it could be devastating for the rest of the Premier League. 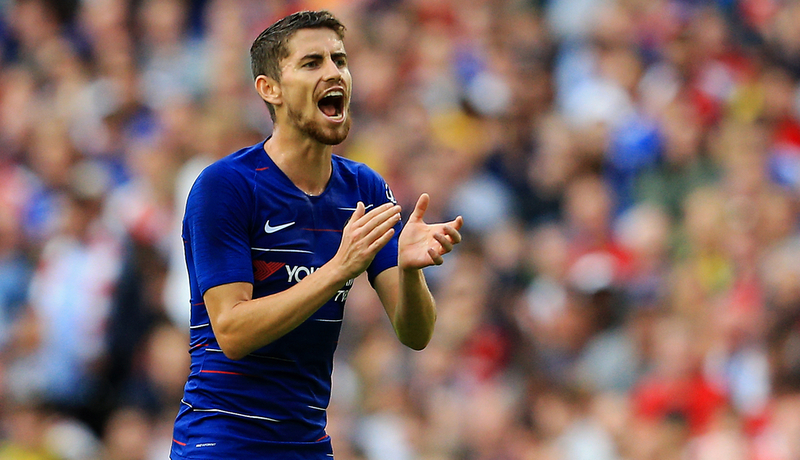 SEE MORE: Chelsea Signings in the Roman Abramovich Era Quiz, Is Jorginho the Real Deal? Major Incomings: Alisson Becker (£66m Roma), Naby Keita (£53m RB Leipzig), Fabinho (£43m Monaco), Xherdan Shaqiri (£13.5m Stoke City). Last season was another one of great progress for Jurgen Klopp's Liverpool. Another solid Premier League showing was followed up by them making the Champions League Final for the first time in 13 years - ultimately being beaten by Zinedine Zidane's Real Madrid. Since the German arrived on Merseyside 3 years ago the expectation level has risen significantly and it's now the highest it's been for some time, so they really need to get some more silverware in the trophy cabinet. Klopp is yet to win anything with Liverpool but last seasons performances coupled with some superb business in the transfer window has got the fans dreaming. The headline arrival has been the addition of Brazil no.1 Alisson Becker, who arrived for a massive £66m from Roma. 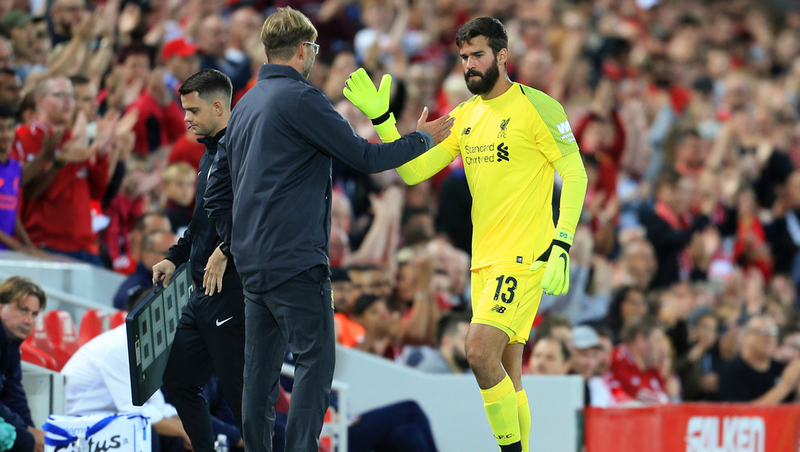 Signing a new goalkeeper was at the top of Klopp's shopping list and in Alisson they have a player right at the top of his game who also boasts all the attributes to be a massive success at Anfield - with his ability command his area and distribution from the back a major asset. Xherdan Shaqiri arrived from relegated Stoke City at a cut price £13.5m and adds some extra strength in depth in attack to come off the bench. In a market which has seen Richarlison move to Everton for £40m, it looks like the Shaqiri signing is a pretty shrewd move from Klopp and he has a fair bit of Premier League experience under his belt. Fabinho came in from Monaco for £43m and he'll add some extra steel in the middle of the park, along with plenty of Champions League knowhow after reaching the semi-finals with the Ligue 1 outfit in the 16/17 campaign. 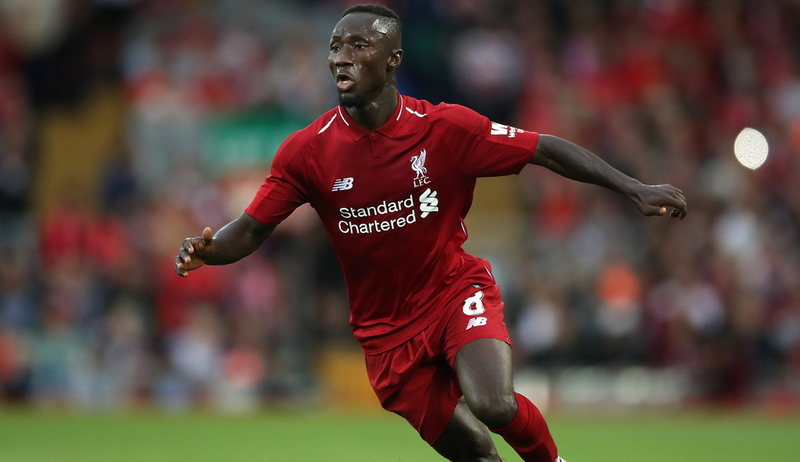 But the one we're really excited to see is Guinea international Naby Keita, who has all the qualities to take the Premier League by storm. He arrives on Merseyside with a huge reputation following his time in the Bundesliga with RB Leipzig and he looks like a player born to play under Klopp. Quick, energetic, physically strong, technically excellent and defensively sound, he's the ultimate box-to-box midfielder for the German's fluid 4-3-3 system and the likes of Mo Salah, Sadio Mane and Roberto Firmino will be licking their lips at the prospect of lining up alongside him - it should result in LOTS of goals.